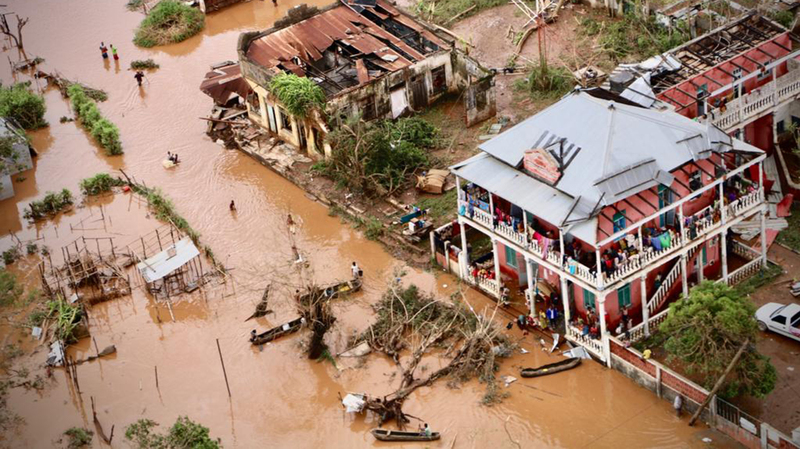 As the floodwaters from Cyclone Idai have started to recede, the death toll has risen to more than 600 across Mozambique, Zimbabwe and Malawi and is expected to continue to grow. The storm hit the southeastern region of Africa on March 14, causing extensive damage. During a visit to Beira, Mozambique, Elhadj As Sy, secretary general of the International Federation of Red Cross and Red Crescent Societies, viewed the devastation from above, and said in a statement that "the scale of this crisis is staggering." "Tragically, we know that the full picture of this disaster is probably even worse than it seems now," As Sy said. "The death toll will probably rise further as more and more areas are reached and as more and more bodies are recovered." There is also concern that the current conditions throughout the region will lead to the spread of waterborne diseases and conditions, including cholera, malaria and diarrhea. The executive director of UNICEF, Henrietta Fore, said in a statement that an estimated 900,000 children were affected by Cyclone Idai and that as relief efforts continue, their physical and mental health is also a concern. "We are particularly concerned about the safety and well-being of women and children who are still waiting to be rescued or are crammed in temporary shelters and at risk of violence and abuse," Fore said. "We are also concerned about children who were orphaned by the cyclone or became separated from their parents in the chaos that followed." Aid has started to arrive to some of the areas that were hit hardest. Food, water and other essentials are meant to help the survivors, but as NPR's Eyder Peralta reports, millions of people were in need of food before the cyclone hit due to a long drought. More than 18,000 houses were destroyed and hundreds of thousands of people have been displaced, according to the U.N. Office for the Coordination of Humanitarian Affairs. The total impact of the storm has yet to be determined. The U.N. allocated $20 million to get aid to the area and on Thursday United Nations Secretary General António Guterres called for "far greater international support" to help the relief efforts.